THE double transplant tragedy which saw two patients contract cancer from their new organs is to be raised this week at an influential House of Commons committee. Tom Tyreman, 63, died after receiving a liver from the same donor who gave a kidney to Pauline Hunt, 49. Since his death she has been diagnosed with the same lethal cancer. The two families, from Stockton-on-Tees and Ayrshire, have demanded an inquiry to establish what went wrong. 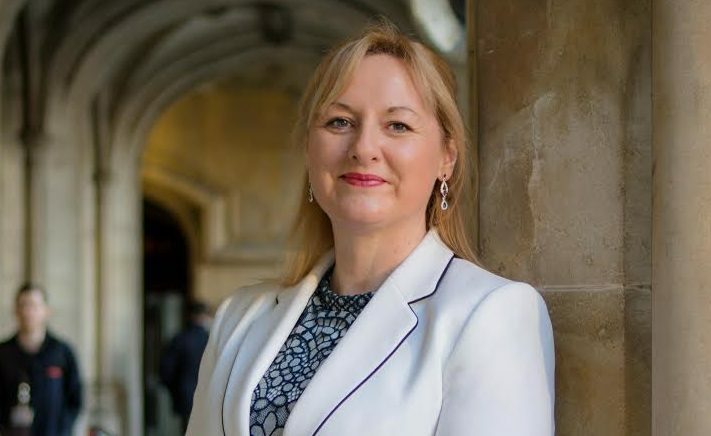 MP Lisa Cameron said she will raise the issue at Westminster’s Health and Social Care Select Committee on Tuesday. The committee has the power to order health chiefs involved in Tom and Pauline’s cases to come to Westminster and answer MPs’ questions or give evidence in writing. Dr Cameron, the SNP MP for East Kilbride, Strathaven and Lesmahagow, said: “I am extremely concerned to learn about this issue. “I think it is something the health select committee should be looking at and I will raise it this week. “Families need to know the risks, but also there should be some improved screening of the organs. “At the health select committee we are going to have to discuss how that service can be improved. The last thing you want is someone having a transplant and it is then the lifesaving surgery that kills them. Meanwhile Scottish Tory shadow health secretary Miles Briggs has written to Health Secretary Jeane Freeman calling for an independent public inquiry. He said: “The parliamentary questions I have also tabled have asked the SNP Government how it intends to ensure the confidence of patients and donors going forward. The two families have welcomed the politicians’ support. Pauline’s husband Gordon Hunt, 58, said bosses from the NHS Blood and Transplant service and hospital chiefs from Newcastle and Glasgow should be brought in front of MPs to answer questions about the robustness of checking procedures and whether new protocols are needed. He said: “They need to reassure the public that absolutely everything is done that can be done. They must be open and honest about what happened here. “It’s too late for us, but there are thousands on the transplant waiting list and they all need to know the system is as safe as it possibly can be. “The only way that can happen is if they are forced to appear in front of MPs who I hope will get the answers we have been trying – and failing – to get. Ms Freeman ordered an inquiry after The Sunday Post first revealed the tragedy two weeks ago but last week said that, after receiving assurances from the transplant service, she was satisfied every possible check had been carried out. But Mr Hunt said: “We’re bitterly disappointed Scotland’s Health Secretary Jeanne Freeman appears to have simply taken the NHS at their word. The NHS Blood and Transplant service said tragedies like this are extremely rare and organs are tested as thoroughly as possible before transplant within the short time available.